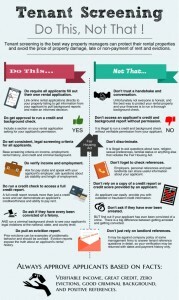 Tenant screening is the most important step a landlord or property manager needs to take when finding quality tenants for a rental property. We here at Real Property Management Excel take pride in finding quality renters for your property. We do all the work for you! Call today and make this new year less stressful. 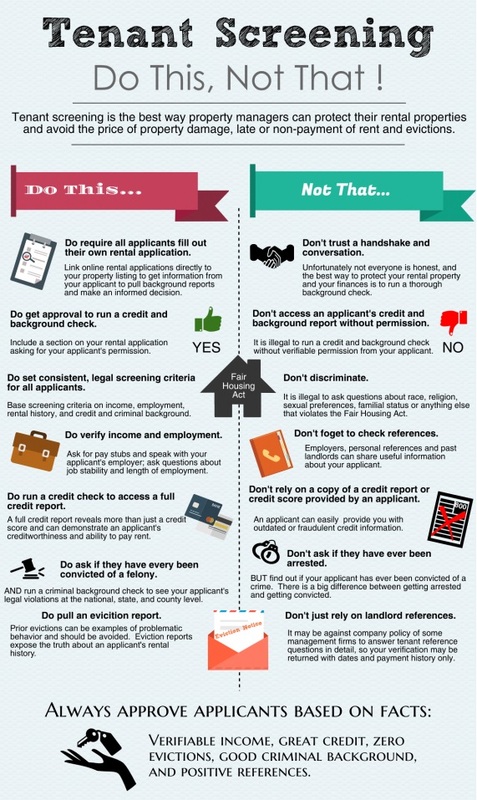 This helpful info-graphic touches on the dos and don’ts of the tenant screening process that will help you make the most informed decisions when selecting a new tenant. Real Property Management is a national company that has been in business for 35 years. We match properties with the right tenants by using proper screening procedures. We take the stress of owning rentals away from the owners. Thank you for investing in our communities here in the Detroit Metro Area. When you invest in the Motor City you invest in us all. We are so happy to help you reach your investing goals.